Some people choose to use an egg donor recruitment agency when searching for the perfect donor. Agencies usually have a larger demographic pool. They may provide adult photos, and sometimes even donor GPAs and IQ scores. However, there are drawbacks to using an egg donor agency. The most problematic is that a large majority of donor recruitment agencies are not medical organizations and have little medical background. Most importantly, they do not medically or psychologically screen their donors, and must rely on a patient’s fertility center to do so. I liken donor recruitment agencies to dating websites, a sort of FindADonorMatch.com, if you will. There are pretty pictures, clean looking family histories, great essays, likes/dislikes, dreams/aspirations, and highlights of the fluffy stuff, but you won’t know if the donor will pass screening until you delve deeper. Unfortunately, not every donor from an agency will pass screening. In fact, a good egg donor agency will find that less than 10 percent of the donors who complete an application will actually qualify to donate eggs. Perhaps you’ve scoured the Internet, asked the few friends or family members who know that you are pursuing donor egg treatment for good advice, and have at last found the donor of your dreams. What’s next in working with an agency? It is important to understand the additional cost and possible uncertainty of whether the donor will qualify to donate. After you select your donor, the egg donor agency contacts your fertility center. Fees will be paid to the egg donor agency to retain the donor; typically this includes a non-refundable deposit. Agency administrative fees, travel and lodging for the donor’s retrieval are all planned out. In addition, if the donor is out of state and not local to your treatment facility, she will need to utilize her local fertility center for some of her egg donation cycle monitoring. The costs associated with off-site monitoring will be additional to the fees paid to your fertility center to complete the IVF cycle. Your donor then begins the process of being medically and psychologically screened by your fertility center. Medical screening can vary from clinic to clinic. The American Society for Reproductive Medicine strongly recommends psychological screening for egg donors. Psychological screening serves the dual purpose of screening out those who may not be psychologically sound to donate, but also to confirm understanding of the commitment required and psychological aspects associated with egg donation. Donors can be medically or psychologically screened out at any stage of the screening process. And unfortunately, they typically are. It’s usually not the fault of the donor or the egg donor agency. Not every potential donor understands the commitment involved. Maybe the donor had no idea about the genetic condition of which she is a carrier. Maybe the donor had no symptoms of the Chlamydia, for which she tested positive. There are various reasons to screen out a donor, but that doesn’t change the heartbreak of finding out that your dream donor can’t cycle for you. If this happens, couples are forced to start the process again in order to move forward. The non-refundable deposit is still non-refundable and you have also incurred the cost of screening and the donor’s travel expenses. Donor Egg Bank USA is different from an egg donor recruitment agency because the eggs are already frozen and ready for immediate use. All of the donors have been fully medically and psychologically screened, and have already completed their IVF cycle. Donor Egg Bank USA is a network of fertility programs who are medical specialists and understand the importance of superior donor screening, including psychological screening and counseling. Utilizing frozen donor eggs will also guarantee eggs for treatment or a replacement egg lot is provided. There are no guarantees in working with an egg donor agency. 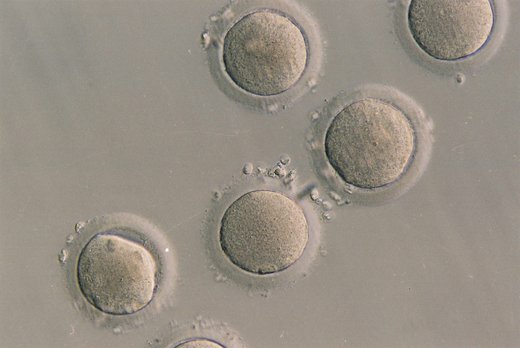 Human biology is hard to predict and using frozen donor eggs can remove the worry that the donor won’t stimulate well or will not have quality eggs to use. Donor Egg Bank USA receives donors from all over the United States, providing a more diverse demographic pool. With frozen donor eggs at Donor Egg Bank USA there are no hidden costs or surprise add-ons. Most importantly, the quality and ultimate delivery of a live born baby is as good as a fresh cycle. See the success rates for more information. Many couples have experienced bumps on the road to parenthood, and there is nothing more reassuring than a guarantee and peace of mind.